2016 is rapidly drawing to a close. Personally, I can’t quite work out if the year has gone incredibly slowly or very fast. Either way, a lot has happened for Inclusion WA, the disability sector and the wider WA community. There continues to be change and much uncertainty in the disability sector, and this at times can feel like a distraction from the important work at hand. Our solution continues to be that of focusing on what we can control, and that is providing thoughtful, considered, meaningful support to people and communities who request our service. Into 2017 greater clarity should ensue regarding the details of the WA NDIS and what that means for people with a disability in WA, but even then I fully expect the system will continue to evolve over coming years. We will endeavour to distill information and help provide clarity as it comes to hand. In the meantime, I wish you well for the remainder of 2016. May you have a relaxing end to the year and enjoy time with family and friends. 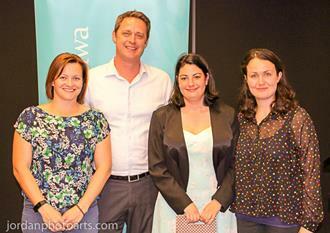 Photograph caption - Members from the Inclusion WA team at the recent AGM. Photo taken by Jordan Armenti from Jordanphotoarts. In the invitation to the Inclusion WA AGM we quoted recently announced WA Senior Australian of the Year, Peter Kenyon, who said, "Why have a meeting when you can hold a party" - which is a sentiment we whole heartedly agree with. As a result, the AGM was more a pleasant reflection on the year than a formal meeting. Excellent, entertaining speeches were provided by Belinda Grandoni from the City of Bayswater, Jo Hayes from 360 Health and Brooke Gobby, a young lady who uses Inclusion WA individualised supports (Brooke's story is also highlighted below). Richard Orr, Inclusion WA General Manager, also provided thoughts on the work and our staff from an organisation perspective to wrap up the evening. Numbers and stats might often sound dry and more meeting like, but there were plenty of laughs and light-hearted moments throughout the night. Guests enjoyed good fellowship and conversations while enjoying views over the Swan River from the offices of KPMG, who kindly provided a room for the evening. A Special thanks also goes out to Jordon Armenti from Jordanphotoarts for volunteering his services for the evening also. More of Jordan's work can be viewed here on his website. It's always a positive story when you hear about people kicking goals and not allowing anything to get in their way. Brooke's story tells us all this and more. A young lady passionate in her studies, in her work and her independence. The Mental Health team at Inclusion WA are extremely excited with the release of the new Personal Recovery Services brochure. The Personal Recovery Services are designed to assist people living within the community with a mental illness to achieve goals towards wellbeing and independence. 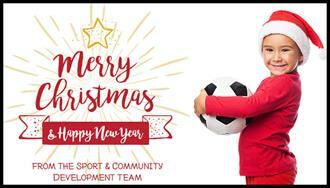 As the Christmas holiday season approaches, the Sport & Community Development team at Inclusion WA would like to take this opportunity to say thank you to all of the communities we have worked with throughout 2016. 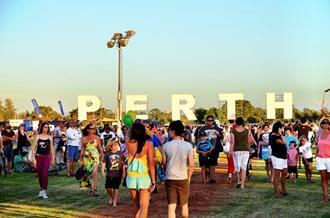 It has been a very busy year working with communities from Port Hedland to Esperance and all those in between. We are extremely proud of the many positive outcomes we have been involved within these communities. Londa has been working as a mentor with Inclusion WA for over 2 years. Moving from interstate, she decided it wasn't just the sea change that she needed, but a career change also. 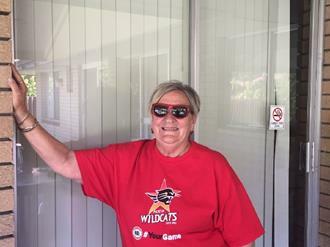 Lizzie is another active client utilising Inclusion WA's service to help support her in achieving multiple life goals. One of Lizzie's many achievements has been the success of her work, branch business to Heather's Tea Towels. Lizzie's story tells us about the importance of this role, helping to develop and strengthen her everyday living skills. With Christmas just around the corner and another new year on the horizon, there is so much opportunity for people to be getting out and about and appreciating all that your local community has to offer! 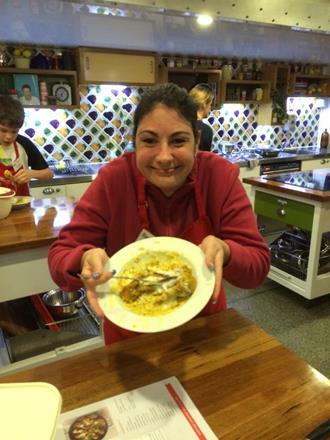 Inclusion Wa has found a whole bunch of exciting events and activities to keep us occupied over the Christmas break and keep us in the festive spirit! With Christmas carols, New Years celebrations, good food festivals and a multitude of Christmas lunches (yes more eating!) there is certainly something for everyone to get involved with!